It was the fifth annual “Screen” awards and the jury was headed by Manoj Kumar and had some well-known film celebrities as members of the Jury. The hectic sessions to decide the winners in different fields were on in a private hotel. The only award that was still to be decided was the award for the best lyricist. Among the nominees were Javed Akhtar , Anand Bakshi and Sameer who were regular winners in this category. A day before , this writer happened to meet Aroon Bakshi , a popular actor and singer who asked me why “Screen” could not go away from the beaten track and he suggested that the award for the best lyricist be given to the then Prime Minister Mr. Atal Bihari Vajpayee. I read the poem and felt it was outstanding and even though I was not supposed to interfere with the Jury , I couldn’t resist the temptation to make the same suggestion to the members of the jury and they took my interference in the right spirit and circulated copies of Vajpayee’s poem to all the members and they were all moved and a unanimous decision was taken to create a non- film lyrics category and Vajpayee was declared the winner and none of the nominees could argue or be bitter. They were all respect for Vajpayee as the Prime Minister and the poet in him. A letter was sent to him informing him about the decision and in spite of his very busy schedule he wrote back a letter of gratitude. He couldn’t attend the awards function, but Ms. Ananya Goenka of the Indian Express Group of Newspapers presented the trophy to him at the Prime Minister’s office. He thanked the Indian Express Group and called the Indian Express newspaper, “the voice of every Indian”. He again sent a letter thanking the jury for recognising his work as a poet. 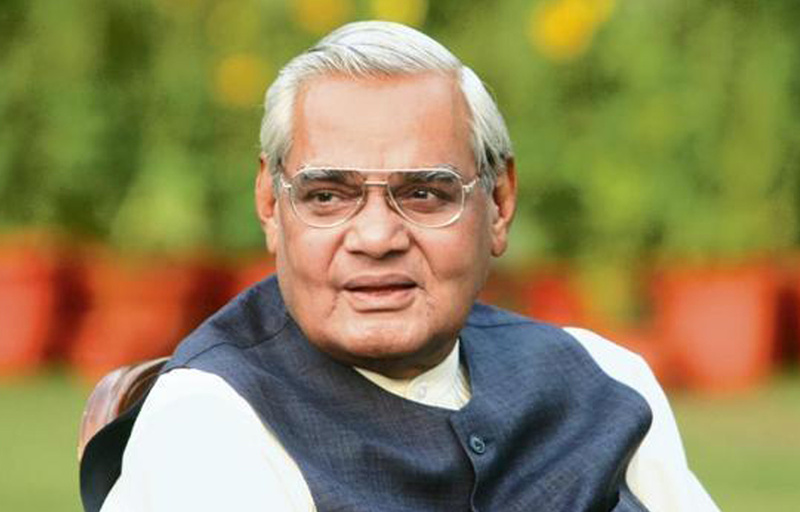 The same category of awards was never repeated again, because there was never another Vajpayee again. The poem which was selected for the award was one of the poems from his collection, “Nayi Disha” and was sung by the Ghazal maestro Jagjit Singh. The lyrics of Aao Phir Se Diya Jalaye…….